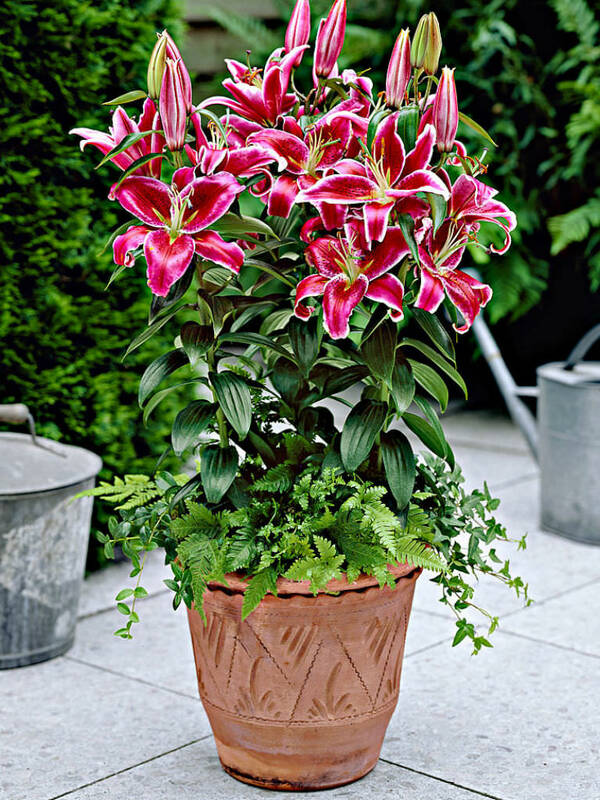 Lilium ‘Star Gazer’ is is one of the most popular Oriental Lilies. 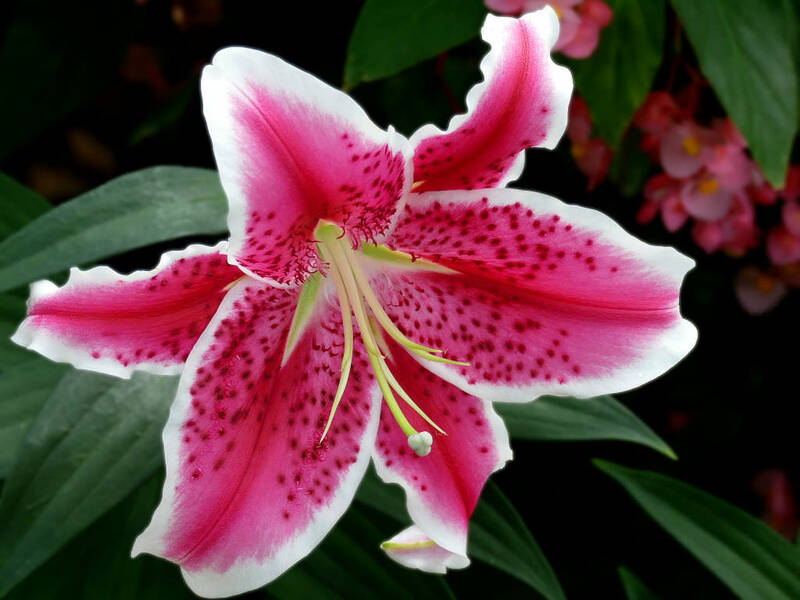 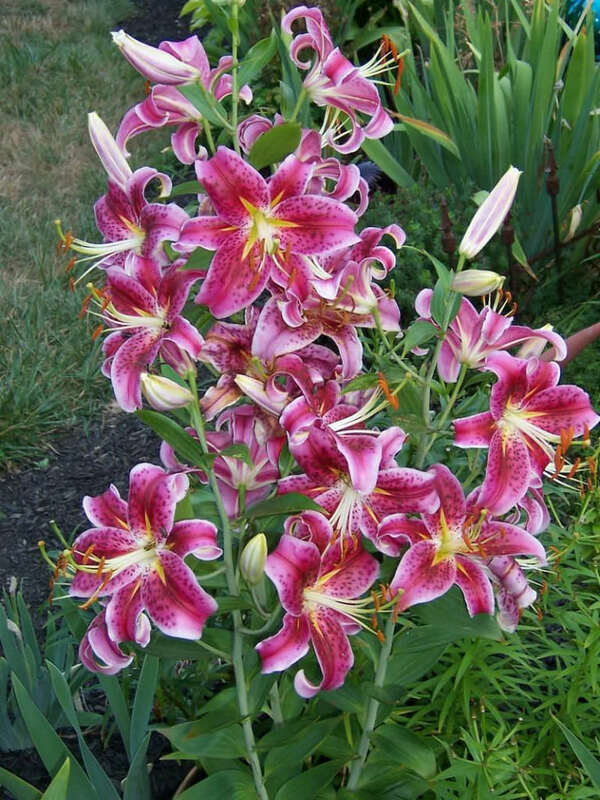 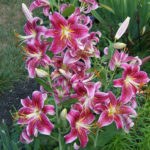 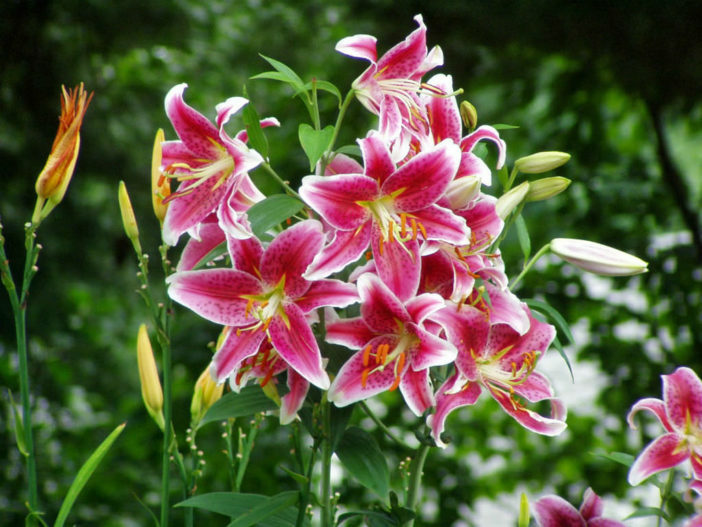 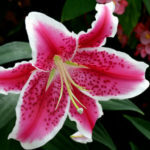 It is a robust lily with racemes of upwards-facing, deep pink flowers with paler edges and deeper spotting towards the center. 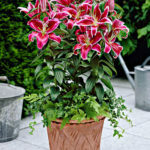 Born on sturdy stems, they contrast nicely with the glossy, strap-like leaves.